There is something every comforting about eating a Taiwanese Railway Bento box, with different combinations of side dishes brought together into one hearty, varied and tasty box. You also get reminded of the warmth and sincerity of the Taiwanese people. These meal boxes first made its way to Taiwan during the first half of the 20th century from Japan, commonly sold in Taiwan’s railway station and train cabins. They are thus packed with balanced nutritious ingredients, and usually drier to endure long train journeys. While there are many Taiwanese street food kiosks found in Singapore, not many sell the traditional bento boxes. Then I found a shop specialising Taiwanese bentos at Kallang Ave CT Hub, a short distance away from Lavender and café hotspot Jalan Besar (another branch at International Plaza). Hidden find! Varieties over at Taiwan Railway Bento include Traditional Pork Rib, Red Yeast Pork, Stewed Pork Belly, Fried Chicken Cutlet, Fried Fish Bento (all $6.80) and Braised Minced Meal Bento ($4.80). Like Taiwanese counterparts, this new shop is full of genuineness when it comes to cooking and packing the boxes. The kitchen staff is generous with their ingredients. My box of Red Yeast Pork filled with the main item, minced pork, stewed marinated hard-boiled egg, tau pok and preserved vegetables sourced from Taiwan. Indeed a nourishing filling meal. Oh, they use the shorter-grain stickier pearl rice for more authenticity and no worries about the rice being too dry. The sauce from the minced pork is enough when you mix all together. My other favourite parts were the tau pok which was flavourfully soaked in a special dark soya marinate, and the ‘suan cai’ which tasted exactly like the ones I had back in Taipei – very homely. Look at the portion of the deep fried crispy chicken cutlet, peppered with spicy and plum powder, and you would know what it means by substantial. In true Taiwanese style, they do not believe in cutting up their cutlets. Another new addiction which I would highly recommend is the Chicken Rice Bento ($4.80, $6.80) which can give our familiar Hainanese Chicken Rice a run for its money. The rice is all-fluffy and evenly enveloped with chicken stock, developed after months of experimental. Every mouthful is flavourful, and I suddenly found myself eating the rice alone non-stop. The chicken is also tender and juicy, reminding me of the popular ‘spray water’ chicken from Chiayi Taiwan. Lunch-time crowd can get rather busy, and it is encouraged that you come during dinners or order takeaways. Delivery is also available for certain nearby locations. All the bentos are packed in these recyclable signature wooden boxes, entirely microwavable as well. 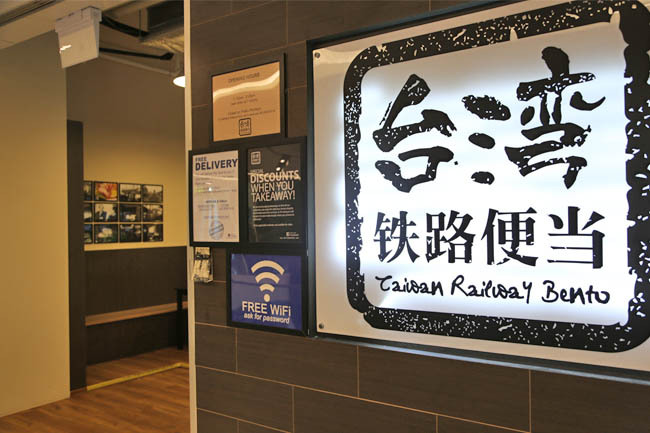 If you crave for the familiar Taiwanese taste, do head down to Taiwan Railway Bento and you may find that you may not need to make that travel anymore. Taiwan Railway Bento will be giving away 4 Special Packages which includes 4 Bento Boxes in each with a VIP card which entitles you to discounts and other privileges. * This entry is brought to you by Taiwan Railway Bento. TRADITIONAL PORK RIB! Gotta be my favourite! One of the main reasons I always look forward to travelling to (and in) taiwan, is this!!!!!!!! Definitely the Braised Minced Meal Bento!!!! I love love love lu rou fan from Taiwan and would love to try Railway Bento’s rendition of this ^^ Plus the prices are really attractive! 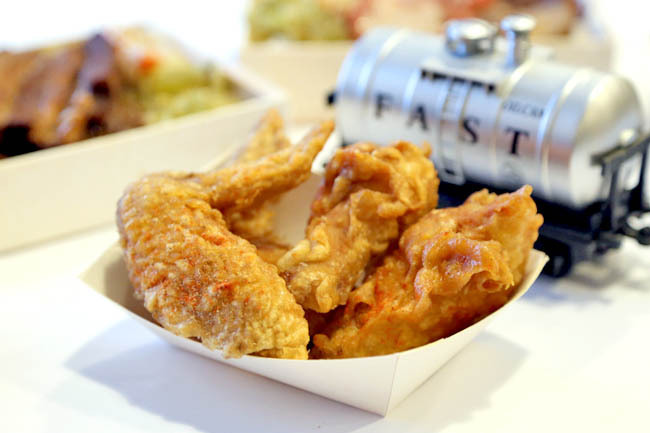 Would love tot try the fried chicken cutlet bento! The chicken wings look good! If I am in the vicinity, I’ll definitely check out the place! 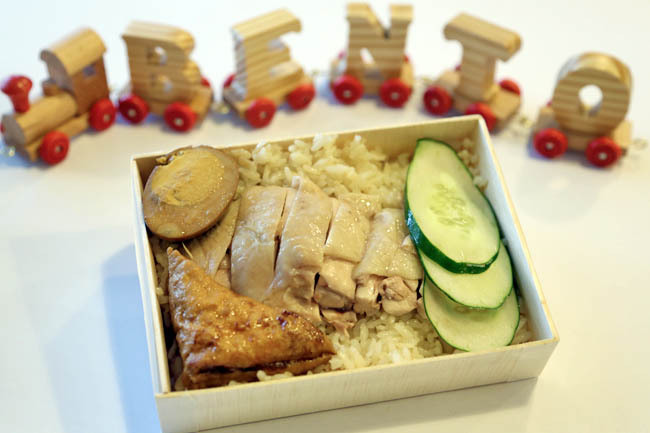 Chicken Rice anytime so Chicken Rice Bento Box! I love the braised minced meat bento! Either the chic cutlet or stewed pork belly for me!! Hi, I would like to try the Taiwanese bentos. I would love the fried chicken cutlet bento! 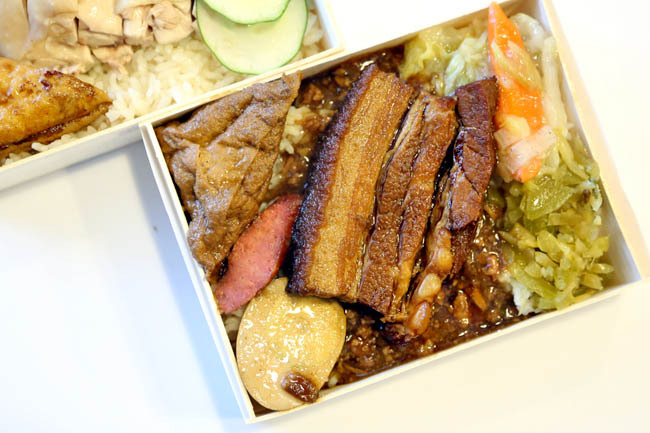 My favourite Bento Box from Taiwan Railway Bento is “Stewed Pork Belly Bento”. I love the combination of preserved vegetables, 3-layer pork and gravy minced meat which are perfectly concocted and go extremely well with rice! And from the picture of this dish, can you blame me for drooling? Fried Chicken Cutlet for the win as its so big, crispy, tender and succulent! The stewed pork belly bento for me. Looks ohhhh so juicy and tasty!! Yummy food that reminds me of Taiwan! Liked and shared! My favorite bento is definitely the fried chicken cutlet bento because the chicken looks so crisp! Fried Chicken Cutlet!! Got me drooling already! ahhh! how i miss TW bento!!! yummilicious!!!! I miss this! This is awesome!!! You gotta try it! No regret! Fried chicken cutlet! Looks so good! Braised Mince Meat Bento. It is such a classical Taiwanese dish. Definitely the minced meat bento!! Is there anything better than 滷肉飯?!! Yummy! Can’t wait to try this set! Braised minced meat bento. the typical traditional taiwan street food of course. Taiwan food is so tempting everytime. Braised minced meat bento. the typical traditional taiwan food. Taiwan food is always so tempting. 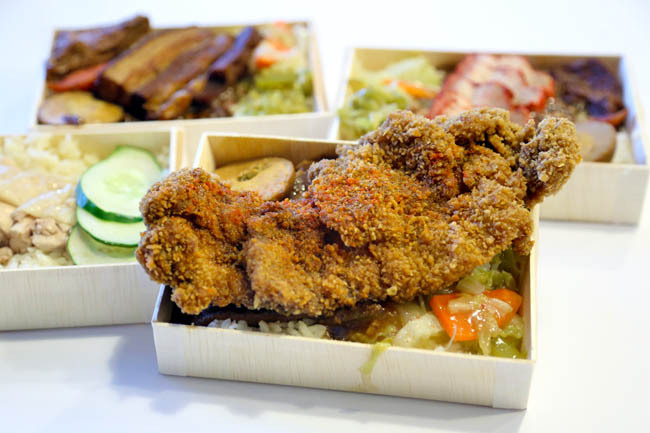 I want to try Fried Chicken Cutlet bento set! It is a MUST to eat deep fried chicken cutlet for taiwan food! My favourite is the red yeast pork! Braised minced meal bento ! 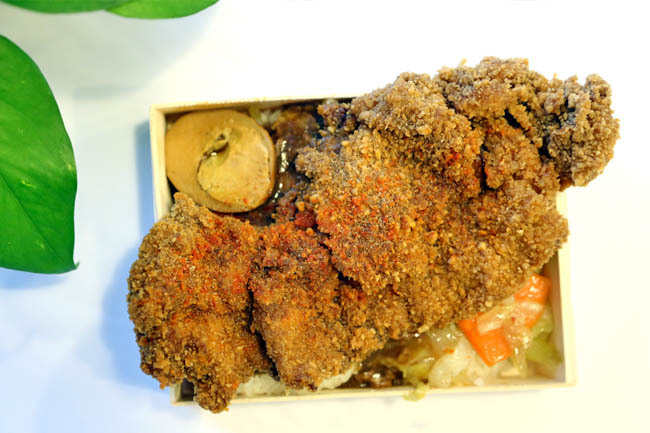 The Fried Chicken Cutlet Bento! Looks amazing! Fried fish bento! <3 I love fish and fried stuff, so it suits me very well! I have tried almost every bento at Taiwan railway bento and never get sick of their fried chicken cutlet and pork cutlet! Yummy!! Red Yeast Pork bento sounds and looks interesting & yum! Whoops I mean stewed pork belly bento!! Oops, entered wrong email add. in my previous comment. My Favourite would be the Braised Minced Meat Bento! Who doesn’t love braised food?! All the sauce. yummmmmsss~! Would love to try the crispy chicken cutlet with plum powder bento (*o*) !!!! Ahhhh the stewed pork belly bento’s my favourite! It looks so much like the one I had at 福隆火车站 in Taiwan! It has to be fried chicken cutlet! I saw on your blog the Chicken Rice Bento seems yummy. I wonder how Taiwan style of cooking Chicken as compared to our local Hainanese Chicken, the tenderness and silkiness of the skin. Fried chicken cutlet bento! 'Cos the chicken looks so big and juicy in the picture. Just want to have it right now. Fried chicken cutlet bento! Because it look damn delicious!! OMG I want have it now!! Omg. 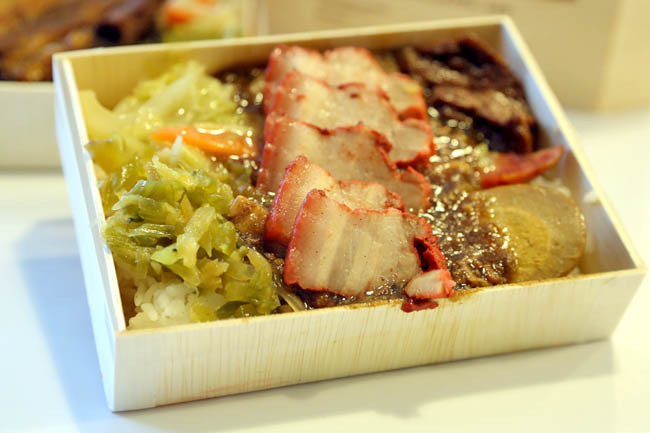 I love the braised pork bento. Thanks for having an outlet in Singapore. Used to have it yearly but gotta missed Taiwan this yr! but still looking forward to try the bento!! why choose when I can have all the bentos! Definitely the FRIED CHICKEN CUTLET bento for a start! Remembering the time I had the railway bento in tw!!!!!!!!!!!!!!!!!!!!! Manzzz …. I wanna try this one in SG!!!!!!!!!!!!!!! my favourite is definitely the fried chicken cutlet one! hope i get a chance to try before i go to taiwan! Like n shared! Stewed pork belly bento!! Braised minced meat bento! Fried chicken cutlet pls! I Love the deep fried crispy chicken cutlet bento!! it’s look so great & big!! I’m sure it’s juicy too!! Pick me~ I want to try them all!! Definitely wanna try the fried chicken cutlet and the braised minced meat bento!! pls delivery it to my house. Hainaness chicken rice for.me pls!! ^_^ liked and shared! ! My favourite bento is fried chicken cutlet bento! Stewed pork belly bento! Yum yum! Liked and shared! My favorite would be the chicken rice bento! I really shouldn’t be reading this post at 12 midnight…. So hungry after reading the reviews and craving for some hot bento now! My fave-fried chicken cutlet bento! Really hope to try this at CTHub that's near my home, authentic Taiwanese goodness without the hassle of travelling with a plane ticket..
Fried chicken cutlet bento! Really hope to try this at CTHUB that’s near my home, authentic Taiwanese goodness without the hassle of getting an air ticket. looks yummy ♥ would love to try! 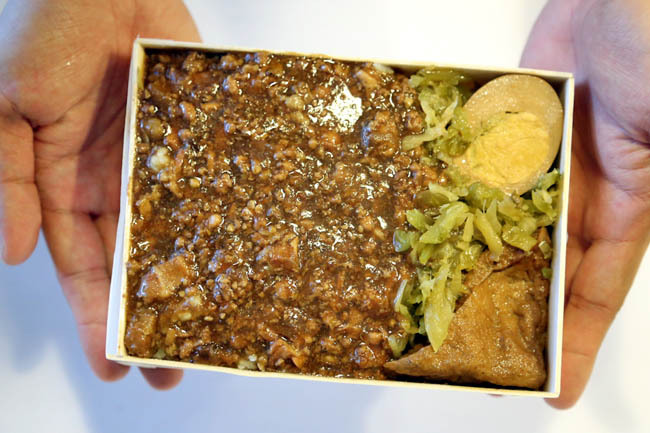 I love to try Taiwan popular Braised minced meat bento!! it’s one of the meal whereby it’s popular among Taiwan!! whenever i’m watching those foodie show they would often introduce them!! but i still never had the chance to try them!! hope i’m lucky on today!! which is my birthday <3 thanks for the awesome giveaway!! It Was Love At First Sight W The Red Yeast Pork Bento…Jus the cripsy looking pork sliced well marinated with red yeast is too alluring to resist!!! Aww….cant wait to eat it!!! Deep fried crispy chicken cutlet ! It look so good! Red Yeast Pork Bento Please! The pork belly is making my drool! Congrats to Emily Tan, Koh Hui, Xiao Wan Zi, Danny Or for winning bento sets & VIP cards from Taiwan Railway Bento. Check your inboxes for details of collection. Have a great day everyone! Just returned from a trip to Taiwan and enjoyed the train bento very much. Couldn’t try all of them but now with this shop in Singapore – hurray!